THEN we will get necessary information to determine if your property would be a WIN-WIN for all parties involved. Reel Property Solutions, LLC will discuss your property information with our other team members then hopefully make you an offer! 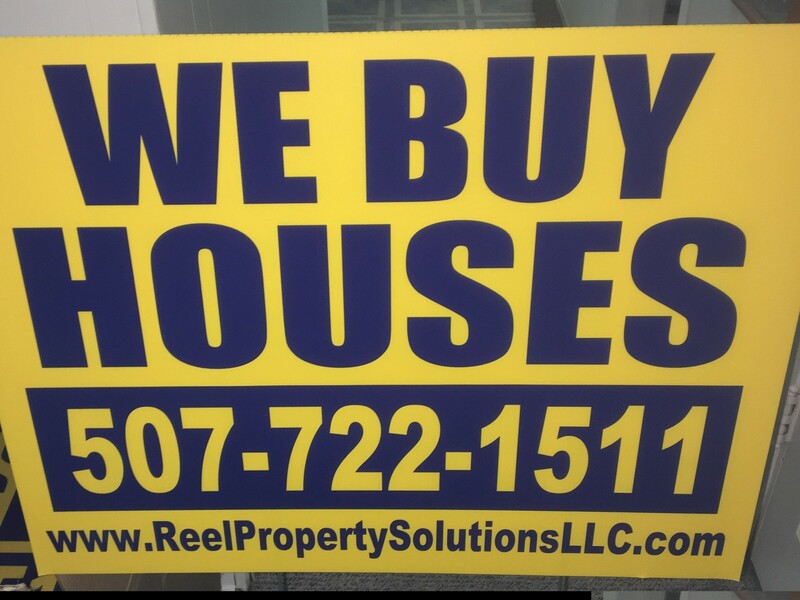 Reel Property Solutions, LLC buys houses in any condition, in any area of Rochester and surrounding communities, in any price range, in any situation! Research is always done before an offer is presented- to have the fairest offer price to you. Remember, Reel Property Solutions, LLC wants to buy your house as-is. You don’t need to do ANY repairs! Whether your house is in physical distress: condemned, not maintained, burned damaged, or about to fall down or financially distressed: foreclosure, over-leveraged, has liens or homeowner distress: probate property or sudden need to move, we will research to ensure a WIN-WIN offer can be made! Reel Property Solutions, LLC has a large team including a Financial Advisor, Real Estate Agent, and Real Estate Attorney who will be able to assist in answering legal questions. Reel Property Solutions, LLC is a real estate investment and solution company. We are property acquisition specialists that buy houses directly from sellers. There is never a charge or a commission when we buy your property! One of our team members is a real estate agent who will assist us as deemed necessary including when the property has been rehabbed and ready for resale. No! We will simply review the information, research your property to ensure a WIN-WIN for all parties involved, make you an offer (if we can), and you choose to accept or deny it. ABSOLUTELY 100%! Reel Property Solutions, LLC will never give out your private information without consent. When we connect with our team to discuss your property, we will state the facts such as: number of bedrooms, address, motivation level, etc. Your personal information will be kept confidential! YES! This is situation dependent, therefore, we cannot put out a specific referral fee amount. Contact us for further information. YES! Reel Property Solutions, LLC is a professional real estate solutions company. Within our team is a real estate attorney and financial advisor who can aide with questions. Together, we have years of experience in solving these of difficult situations. Please contact us for a confidential consultation. Contact us with your question and we’ll be happy to assist you! Call us right now at 507-722-1511 or email info@reelpropertysolutionsllc.com.